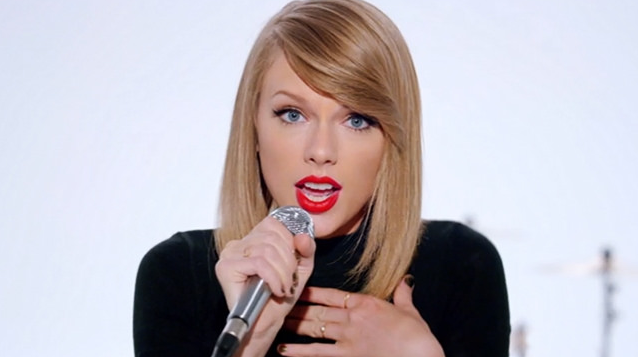 Beyond Taylor Swift's musical talent lies a business acumen that knows how to market. There's no doubt that 2015 was the year of Taylor Swift. Building off the success of her 1989 album release, Taylor’s world tour generated over $4 million per show—a small piece of her current empire. And that success rolls on: As the highest-earning musician in the world, Swift makes more than $1 million per day in revenue. The success of the singer-songwriter's endeavors comes as no surprise. Beyond her musical talent lies a business acumen that knows how to market. You would have to be a marketing connoisseur to do what she and her team have done: bring back CDs and sell $280 million in tickets worldwide. 1. Use FOMO for good. FOMO, otherwise known as "fear of missing out," is a powerful force for millennials and stems from the creation of a meaningful community. As with any force, FOMO can be used for evil or good: It can make consumers feel special or it can prompt feelings of isolation and weakened self-esteem. For this reason, marketers need to be careful of how they use FOMO to sell their brands. Creating limited-edition content, for instance, can provide consumers with a common ground to form community; but if that content is unreasonably inaccessible, it can create exclusion and hard feels. Taylor Swift demonstrates the effectiveness of FOMO for fostering consumer engagement and loyalty. Considering the $5 million in albums she's sold to date, FOMO is a definite factor in the marketing and success of Swift's CDs. Each album sold includes personalized photos and messages for fans; and, in addition to receiving one of five exclusive polaroid photo sets, fans also receive a special code they can enter to win a personal meeting with Swift. Those who do not purchase the CD miss out on this extra personal memorabilia that they can share with their friends. FOMO-induced marketing therefore can produce social buzz and free publicity as excited fans share their exclusive purchases on social media with their friends. This side effect is crucially important among the millennial crowd, with more than half of them admitting that it is easy to feel left out on social media. In fact, 70% of young male consumers (65% of young females) said they could "relate" to that fear. For this reason, limited-edition products and special offers are an effective way to invite the younger consumer segment to join your own community, to feel special and to strengthen their bond with your brand. 2. Take the time to appreciate your consumers. Taylor Swift is known for her strong relationship with fans. She respects them and often goes out of her way to interact. Before she released1989, Swift personally invited 89 fans to each of her homes to pre-listen to her music and provide feedback. In addition to this strong application of FOMO, the hospitality she offered recognized fans for their loyalty and support. While special gifts and opportunities are always a bonus, time is still one of the best currencies for appreciation. Swift's fans love her not for the exclusive memorabilia she gives so much as for the time she invests in speaking with them, learning their stories and responding to their needs. Her fan-love demonstrates the incredibly strong role emotions play in a consumer’s actions. A consumer is more likely to purchase from a friend than a stranger. That's why opportunities that foster personal interaction with and appreciation by consumers will strengthen their emotional bond with you, create trust and, in some cases, foment a level friendship that goes beyond a sale. An empowered consumer who feels a connection with you and your community can then create a ripple effect. These fans often become authentic brand ambassadors who will gladly share your message. And, with 91% of the under-30 generation willing to make a purchase based on a friend’s recommendation, this ripple effect can be a powerful force in your favor. Swift's 1989 World Tour, which ended in December, was special for many reasons, but her mystery guest performers were a stand-out, if you ask her fans. Marrying FOMO with fan appreciation, Swift's concerts created the ultimate sense of exclusivity and community. With over 38 different guest performers, including pop star besties like Selena Gomez and industry veterans like The Rolling Stones, Taylor successfully made every concert unique: Each event left fans who attended with an exclusive memory. In sum, Swift understands the millennial generation’s appreciation for special experiences. She knows her fans crave meaningful experiences and memories more than they do possessions. In fact, a Harris study showed that more than three in four millennials (78%) would choose to spend money on an experience or event over a purchase. That makes sense because the novelty of a new possession fades fast, but a memory to share with friends remains special. It brings a community of like-minded people together for a common purpose or cause. In other words, the act of creating an experience sells a vision. Fans don’t buy just a concert ticket from Taylor Swift, they buy into her world. They join an inner circle of like-minded peers who share in a unique experience they can always look back on. What's more, the best part about special memories is sharing them with friends and family, another shining aspect of Swift's marketing strategy. Fans feel empowered and excited about their special experiences with her and spread the word on social media. And that brings us back to FOMO. Some 56% of social media users of all ages surveyed told MyLife.com that they were afraid of missing out about an event or important status update if they don’t keep an eye on those platforms. In sum, marketers need to consider how they create similar, meaningful experiences for their own consumers. This doesn't require being as ambitious as Taylor Swift, with her A-list guests! But consumer appreciation luncheons, movie screenings, invite-only game nights and family events are all great ideas. Think of ways to connect your consumers with one other and build a like-minded community. There is a reason people like inside jokes—only those who share the memory truly understand them. As the power of FOMO demonstrates, community has a strong influence on a consumer's buying decisions and his or her motivation to engage with you. Taylor Swift strategically uses these qualities to create shared memories with her fans and entice the rest of the world to join her community. By taking a page from her book, you can—in a smaller context—do the same.